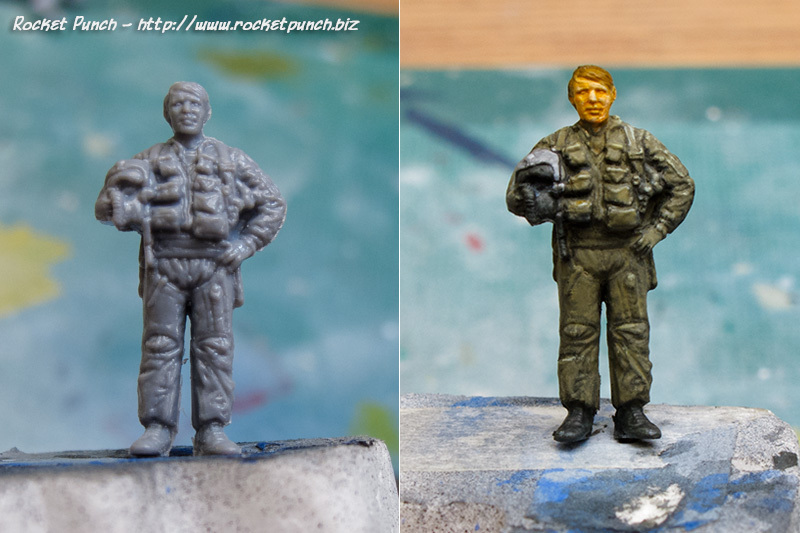 While finishing my Italeri 1/48 A-36 Apache, I decided to go ahead and paint up a pilot figure so I can use it as a size reference. It’s what I have been doing with my 1/72 modern pilot. This WWII pilot figure comes from the Hasegawa 1/48 WWII Pilot Figure Set. The instructions simply say ‘US pilot’ so I’m not sure if this represents a USAAF or USN pilot. I think it’s the latter though. In any case, this is the only option for a US pilot. The details are decent but nothing to shout home about. Clean up however was minimal. First I sprayed a base coat of black. Then I sprayed white at a 45 degree angle from above. This simulates the Sun as the light source so I immediately get some highlights and shadows. The basic colors are then handpainted. Some of the highlights and shadows can still be seen which is what we want. Then I washed the figure with Army Painter Warpaints Soft Tone for the flesh with Army Painter Warpaints Dark Tone and Citadel Shade Nuln oil for the rest. Once the washes have cured, I went back in to add highlights using the same basic colors. The end result is… decent for an hour’s work. But it doesn’t look half bad posed with a plane so I’m more than happy with it. The box comes with RAF, IJA/IJN and Luftwaffe pilots too so there’ll be more practice to come. 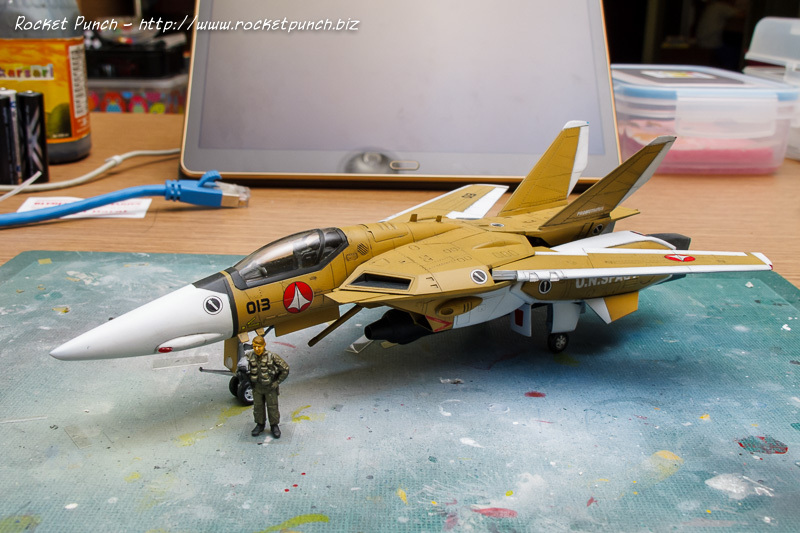 I thought I should get as much figure painting practice as I can so I decided to paint up this 1/72 pilot figure from Hasegawa to use as size comparison for my future builds. I then made a clear base made out of a blister pack. The figure is glued with white glue to the base which will dry transparent. I think I’ll try to get a 1/72 scale WW2 figure painted too. Oh and also their 1/48 counterparts. Looks like much more practise ahead.